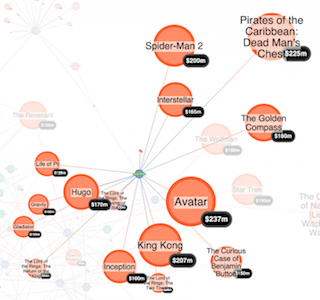 Create robust graph visualization applications using KeyLines and ArangoDB. ArangoDB is a native multi-model open-source database optimized for connected data. It combines the strengths of three major NoSQL data models – graph, document and key-value stores. Its triple model / single query approach helps developers build datastores with outstanding flexibility and power, without the risk and complexity of multiple stacks. At Cambridge Intelligence, we work with developers who need to help their users harness the power of ArangoDB. 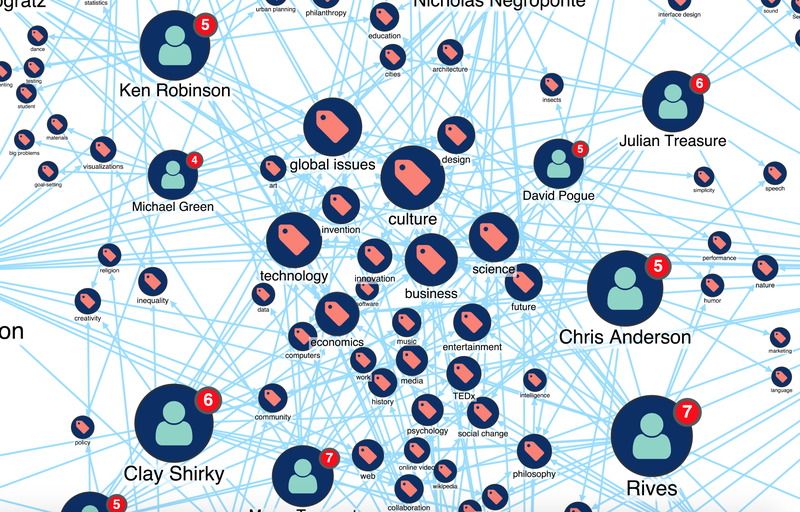 We do this with KeyLines – our graph visualization technology. These applications allow your users to explore the data in your ArangoDB database – revealing connections and hidden trends, helping them make good decisions fast. Every aspect of your application can be customized – the interface, workflow and functionality. 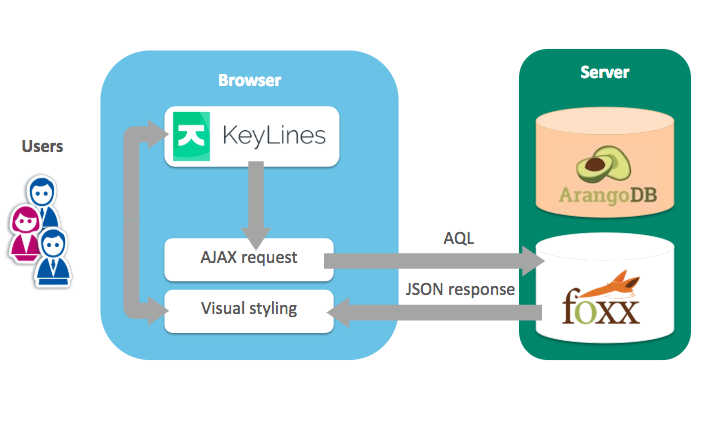 Using our integration with the Foxx microservices framework and AQL (Arango Query Language) users can easily call data from the ArangoDB back end by interacting with nodes and links in their KeyLines chart. Let’s look at the standard ArangoDB visualization architecture. KeyLines is deployed to a web server and embedded into a web page making applications lightweight and incredibly easy to deploy, either as standalone tools or integrated into other systems. Access a KeyLines chart in your web browser. 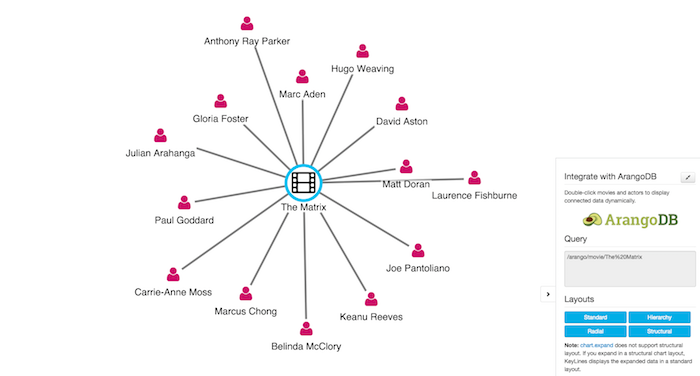 KeyLines renders the JSON data in the browser. 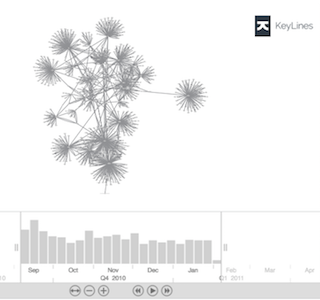 The KeyLines SDK offers you a fast way to design, build and deploy the best graph visualization application possible. This tutorial offers step-by-step instructions for creating a KeyLines application to visualize your ArangoDB database. If the tutorial leaves you wanting more, request a free KeyLines trial to get you started! See our range of consulting services here.